Genuine Fender® American Deluxe / Ultra Strat® and the new American Elite Strat® tremolo block. 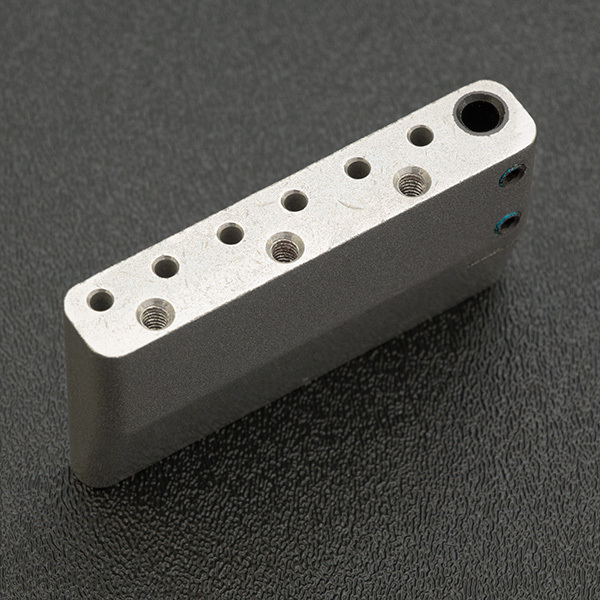 Solid steel for authentic Strat® tone. E to E string spacing of 2-1/16". Does not include the 3 top plate mounting screws. We are assembling these in our shop. 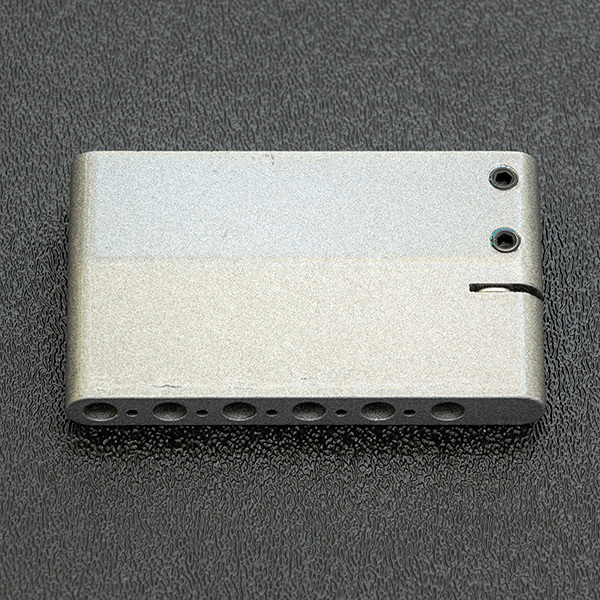 We press in the nylon bushing for the tremolo arm and gently countersink the top, install the tremolo arm retaining clip and install the two set screws for tremolo arm tension adjustment. You will need to perform the final adjustment on the two tremolo arm tension screws for your particular tremolo arm rotational friction. We'll diamond stone surface the top mating surface of the block for flatness.